Bill Cosby Enlists Santa's Staff For A Silent Night Every year, the comedian's three young grandchildren visit him for Christmas. Problem is, "they're annoying," he says. So Cosby came up with a plan to calm the squabbling children and restore Christmas cheer to his household. Ah, the joys of a houseful of family on Christmas — the tensions, the simmering resentments, the screaming children. Bill Cosby's three grandchildren visit him every year for the holiday. But the comedian tells weekends on All Things Considered host Guy Raz that he's not a traditional sort of grandfather, who "believes they came from heaven above." "They're annoying," Cosby says of his grandkids. "These people make a lot of noise, they blame each other for things." So last year Cosby came up with a plan to calm the squabbling children and restore Christmas cheer to his household. He lays it all out in his new book, I Didn't Ask to Be Born (But I'm Glad I Was). The plan involved a phone call from Santa's assistant, who was confused because the children were not at home in New York, but in Massachusetts visiting their grandparents. "I walked into the den of inequity and yelling and said, 'There's an assistant of Santa Claus' on the phone who wants to talk to you guys,'" he says. Automatically, the children were silent. Miss Jones, Santa's assistant, and Skyler the navigator enlisted the children's help to pinpoint their location. 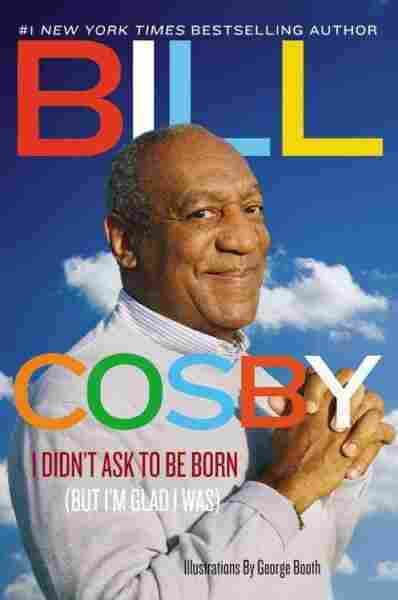 "[Skyler] told them he could see them if they went outside and pointed to a certain star," Cosby says. Once Skyler located the children, they came back inside. But Cosby's plan didn't end there; there was another phone call, this one from Santa's dietitian. "He, in fact, said to them, please do not leave any cookies, milk for Santa because his cholesterol and triglycerides are way up there," Cosby says. Soy milk is OK, though, as long as it's not too fancy. "Not 2 percent ... no Silk, no chocolate flavor, you know, none of that stuff." The grandkids came to visit again this year, but Cosby says he's not going to arrange for any more calls from Santa's staff. "I don't think they're gonna go for it this time," he says.